I first became interested in woodturning when I watched Matthew Calder turning large hollow forms at Yandles show in 1997, and decided I wanted to have a go myself. 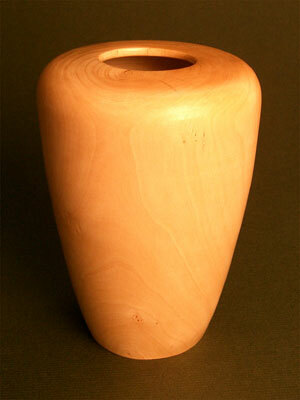 I had access to a Graduate Lathe via my job as a teacher, so proceeded to turn a birch log into a hollow form. I made loads of mistakes, but with a good sanding it looked OK and I was hooked! I learned by reading books on turning and watching Bert Marsh, Phil Irons and Ray Key amongst others, demonstrating at Axminster Power Tools shop in Axminster. 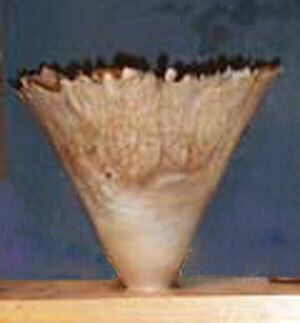 I left full-time teaching in August 2002 to devote more time to woodturning, teaching part-time and turning part-time. I was accepted onto the Register of Professional Turners (RPT) in October 2010 and became a full time woodturner in August 2011. For more detailed information on my background see this PDF file of an article about me in Woodturning magazine June 2015 here. Bronze award at "Tools2002" for turning a natural edge burr. 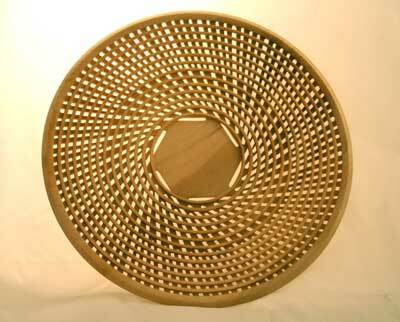 Gold award at "Tools2005" in the professional category for a lattice work bowl. 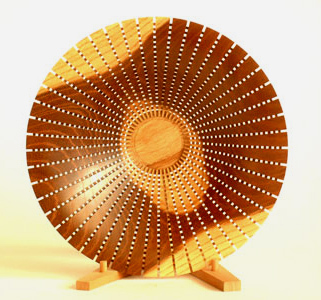 Second prize in the Prestige category at the International woodworking exhibition at Alexandra Palace in Feb 2006 with a lattice work dish. 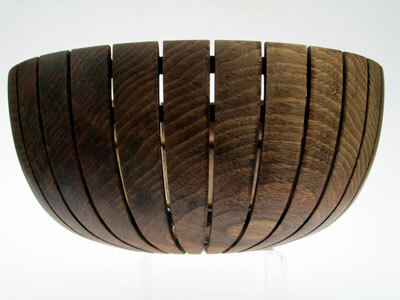 Third prize in the Prestige category at the International woodworking exhibition at Alexandra Palace in Feb 2007 with a zig-zag bowl. 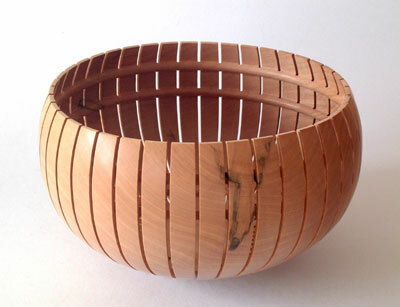 First prize in the delegates competition at Axminster Power Tools "Strictly Woodturning" event in October 2009 with a laburnum lattice bowl. 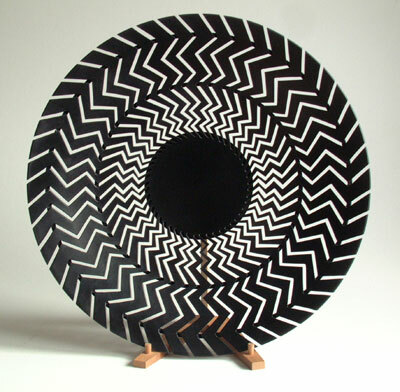 First prize in the Felix Levy competition for freestyle turning run by the Worshipful Company of Turners of London in June 2010 with an Ebonised Sycamore Lattice Bowl. 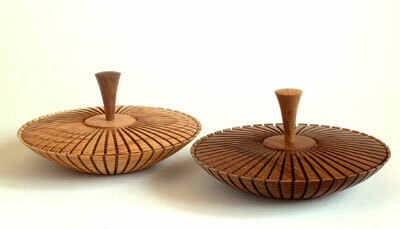 Third prize in the Masters Competition run by the Worshipful Company of Turners of London in June 2010 with a pair of lattice boxes in Holm Oak and Walnut. 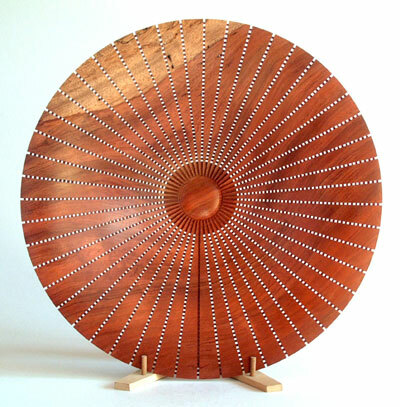 Second prize in the AWGB plain turning competition run by the Worshipful Company of Turners of London in October 2012 with a Bubinga lattice bowl. 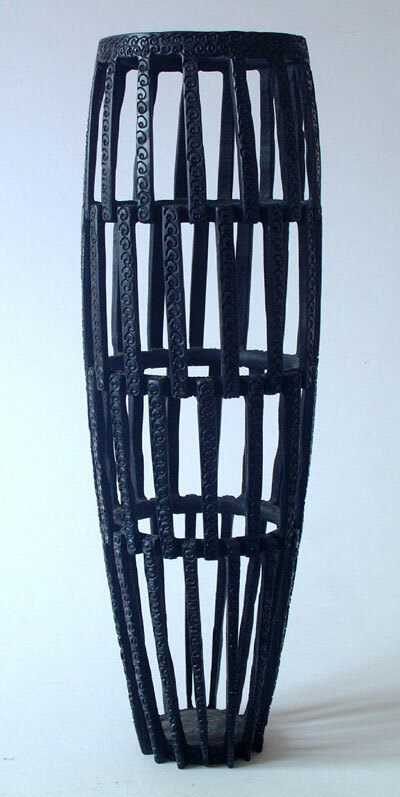 Second prize in the Masters Competition run by the Worshipful Company of Turners of London in October 2012 with a pair of lattice lidded chalices in Jatoba and ebony. 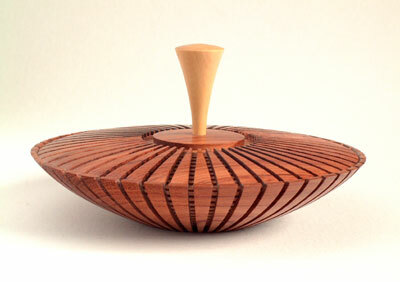 Second prize in the delegates competition at Axminster Power Tools "Strictly Woodturning" event in November 2012 with a sycamore slatted bowl. Third prize in the New Forest Trust Woodturning Competition in July 2013 sponsored by Axminster Tool Centre with an ebonised and pyrographed ash vase. 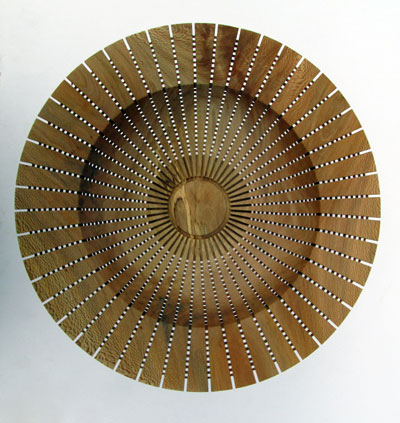 Third prize in the Felix Levy competition for freestyle turning run by the Worshipful Company of Turners of London in October 2014 with a walnut slatted bowl with internal beads. 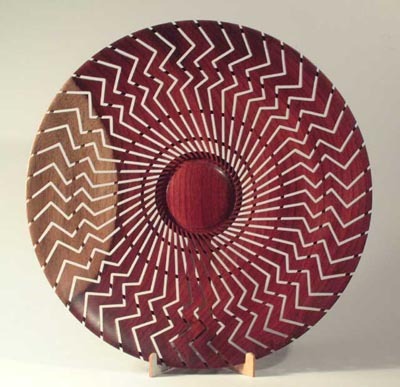 Highly commended in the AWGB plain turning competition run by the Worshipful Company of Turners of London in October 2014 with a London plane lattice bowl. 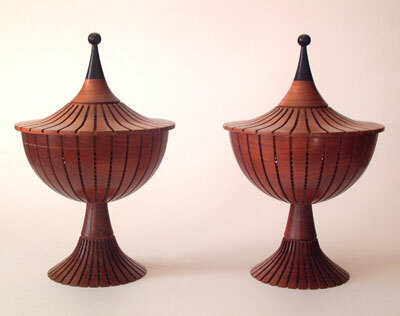 Jatoba and ebony lattice lidded chalices. Third prize winner New Forest Trust ebonised and pyrographed Ash. Highly commended AWGB senior 2014. 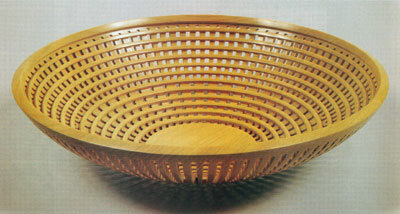 London plane lattice bowl.